Last week when I was out to dinner with my family, somehow it was mentioned in the conversation how God notices even when a bird falls. 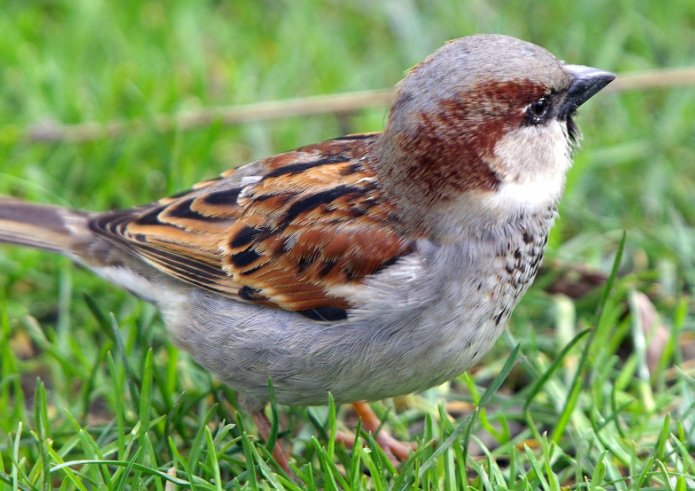 Matthew 10:29-31 says, "Are not two sparrows sold for a penny? Yet not one of them will fall to the ground outside your Father’s care. And even the very hairs of your head are all numbered. So don’t be afraid; you are worth more than many sparrows." It brings me overwhelming joy and a sense of awe to think that the God of the universe cares so deeply about each living thing He has created. We can trust Him with all our hearts. He knows everything going on in each of our lives and cares!! He even knows the number of hairs on each of our heads... wow! He cares about small birds in the wild, creatures who we will never see or even know they exist. Yet, He knows and loves them and cares for them. How much more does He care about human beings who are made in His image? It comforts my heart to know that my Heavenly Father is just that - my Father... Matthew 7:9-11 says, “Which of you, if your son asks for bread, will give him a stone? Or if he asks for a fish, will give him a snake? If you, then, though you are evil, know how to give good gifts to your children, how much more will your Father in Heaven give good gifts to those who ask Him!" I can trust Him to provide for me. I can trust Him to guide me in His plan and purpose for my life. And something else so amazing... the God whose eye is on the sparrow has my two babies in His tender care. How much more does He love them then the sparrow?! It brings me to tears just to think of how He must adore them and care for them. I trust Him with their lives and legacies. God is in control of everything. He sees everything in the earth. He is still in control and has a plan and purpose for the death of Lily... and Luke. He is a God who works ALL things together for our good and His glory. He was not surprised by their deaths. Nothing is hidden from His eyes. I love the hymn "His eye is on the sparrow" and especially like Audrey Assad's version of it. You can listen to it below. I also shared the lyrics. Oh it's lovely to meet you! You and your precious children are doing beautiful things. I was drawn to this post because the celebrant at my baby's funeral talked about how the Father knows every sparrow. Thank you for sharing your story; it gives me more courage to share mine and continue pro-life work. Greetings from Wordwise Hymns. Your blog came to my attention this morning because I just posted an article on the author of this beautiful hymn, Civilla Martin. Today is the anniversary of her birth in 1886. God bless.